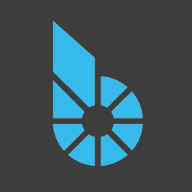 Hello, everyone in the bitshares community. I'm Henry, who recently set up the bitshares trading site, bitshares public API , and applied for ioex Witness. At present, it has been running steadily for more than a month. welcome you to use or vote for my witness, and then I plan to rewrite the bitshares UI in the hope of contributing to the bitshares community. What are your plans for publishing price feeds? Would you consider publishing feeds for Hertz? Would you consider publishing feeds for smart asset AMAZONCOM? We need more witnesses, how about increasing from 21 to 25 or even more? The number of witnesses is dynamicly defined from the number of witnesses that thare voted by the BTS holders. Its up to them to vote for more witnesses. Is it just an average? ie average no of witnesses voted for from voting accounts?stake-weighted? Not actually 100% sure, could be a weighted average or a median over "num_witness" which is a number that users could technically set independent of their votes. If you run "uptick info xeroc" you'll find that info in the "options" field.